A white-tailed deer displays young antlers covered in a hair-like membrane known as velvet. 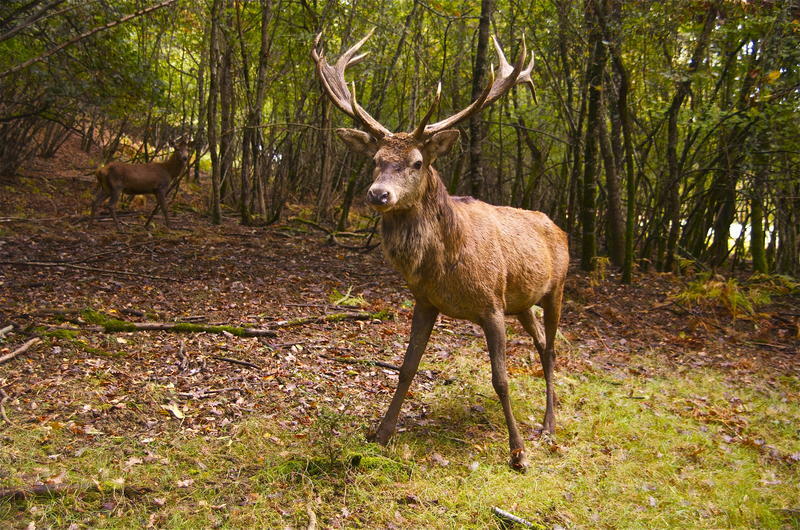 In late August and early September, bucks rub off this soft layer, revealing hardened antlers used to fight-off competing males through the breeding season. This week on Discover Nature, watch for scrape-marks, or rubs on trees, as white-tailed deer shed “velvet” from their antlers. Be on the look-out for deer rubbing their antlers on trees this week when you are out Discovering Nature. White-tailed deer are reddish-brown in summer and males have been growing antlers since April or May. 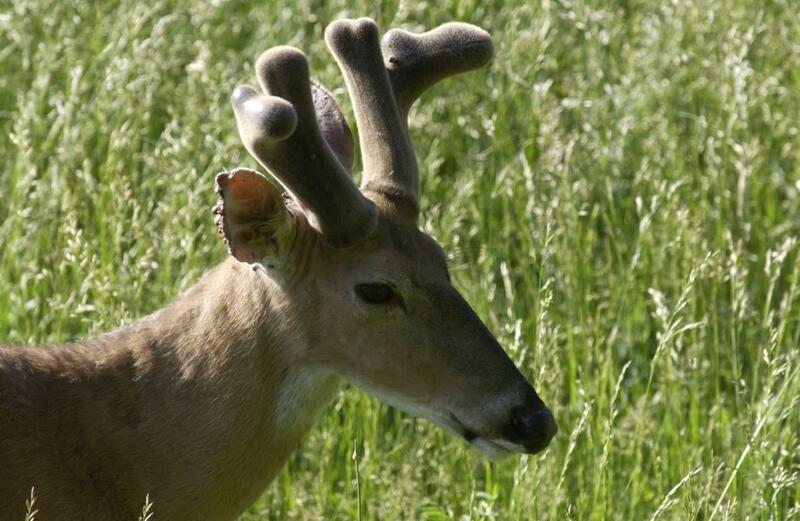 Antlers develop, initially covered in a plush, hair-like membrane commonly known as velvet. By August, antler growth slows, and these bone formations begin to mineralize, or harden. Antlers reach full size in late August or early September. As blood, carrying nutrients needed for growth ceases to flow to the antlers, the velvet dries and peels off. Males can display aggressive behavior during this time, and accelerate the shedding process by rubbing their antlers against trees, vines, brush, and even tall grass. Healthy bucks will retain their hardened antlers to fight-off competing males and establish dominance through the breeding season. This week in the woods, keep an eye out for these rub-marks as signs of deer living nearby. Learn more about white-tailed deer and their growth process with the Missouri Department of Conservation’s online field guide. Discover Nature this week as a swift-flying, migratory duck begins returning to Missouri from the north. 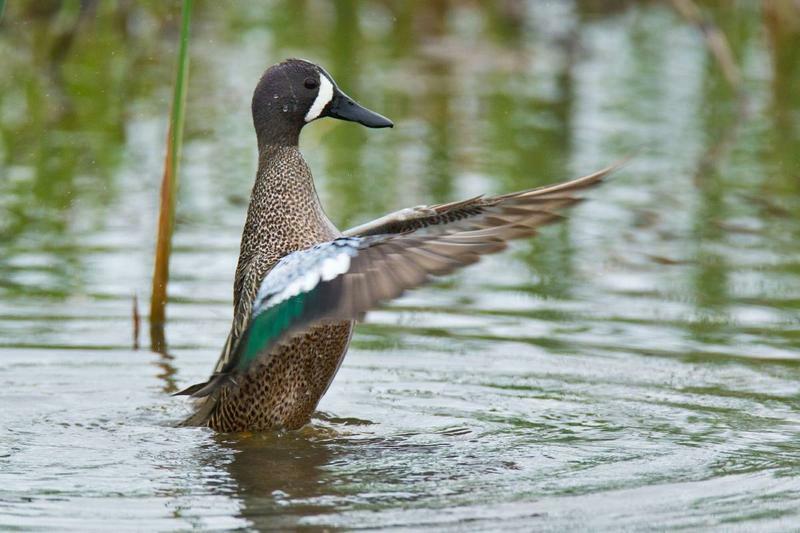 Learn more about a short-term visitor to Missouri, the blue-winged teal on this week's Discover Nature. On summer evenings, as day turns to night, insects and wildlife undergo a routine changing-of-the-guard. This week on Discover Nature, we take a look at what to expect in nature as a rare total solar eclipse casts a shadow across the middle of Missouri. What can you expect from the natural world during next Monday's eclipse? This week's Discover Nature provides a few insights. This week on Discover Nature, find a spot to escape the summer heat in a pond or pool of a cool stream, and you may find one of the largest wildflowers in Missouri. What is that huge bloom? 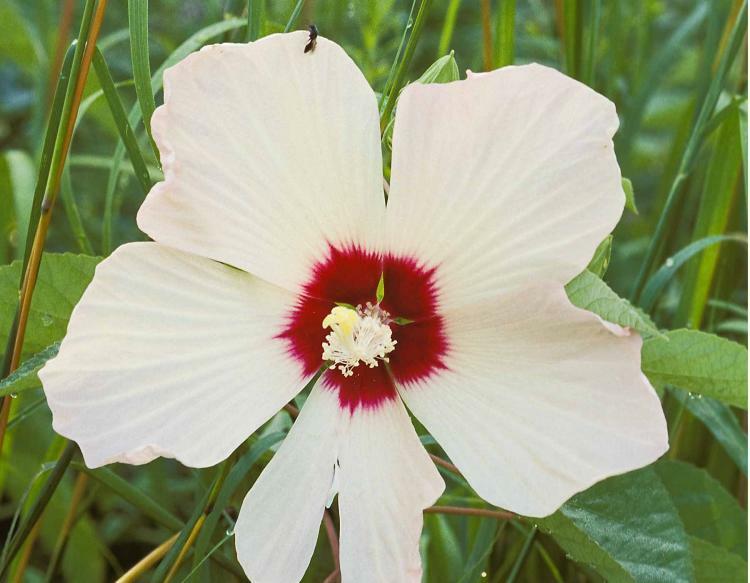 Learn more about the native rose mallow on this week's Discover Nature. A Massachusetts man fighting a speeding ticket in court had a unique explanation — the officer's radar gun may have picked up a deer. The Newburyport Daily News reports that Dennis Sayers, of Haverhill , was clocked going 40 mph in 30 mph zone in West Newbury in November. He got a $105 ticket.